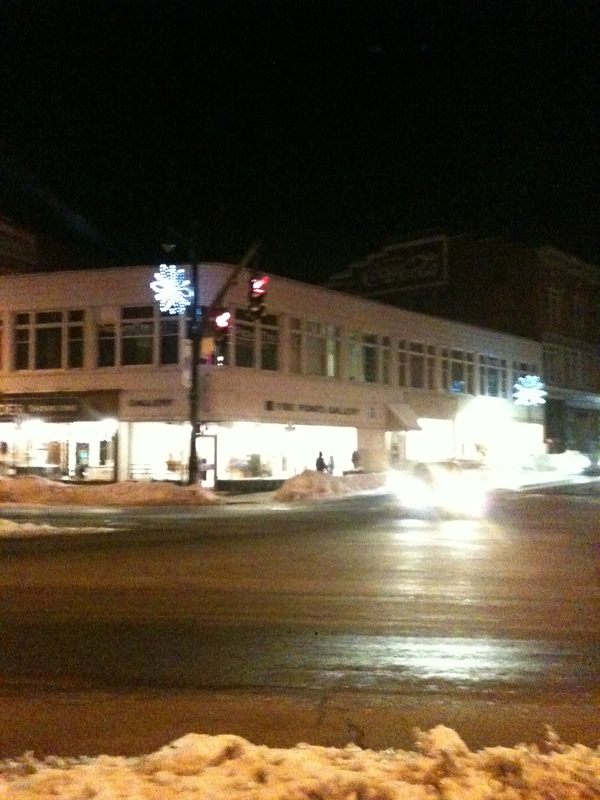 Beneath a canopy of stars and the Valentine glow of the Nutmeg sign, Torrington was abuzz with culture and excitement. Streams of pedestrians made their way along Main Street silhouetted by the bright lights in store windows. Snow aligned the sidewalk and made light cover on the street so vehicles made a slow, steady pace through town. Evita was playing at the Warner and parking became scarce south of Torrington Savings Bank but my son and I were headed to the five points where the Five Points Gallery was having an artist opening reception. 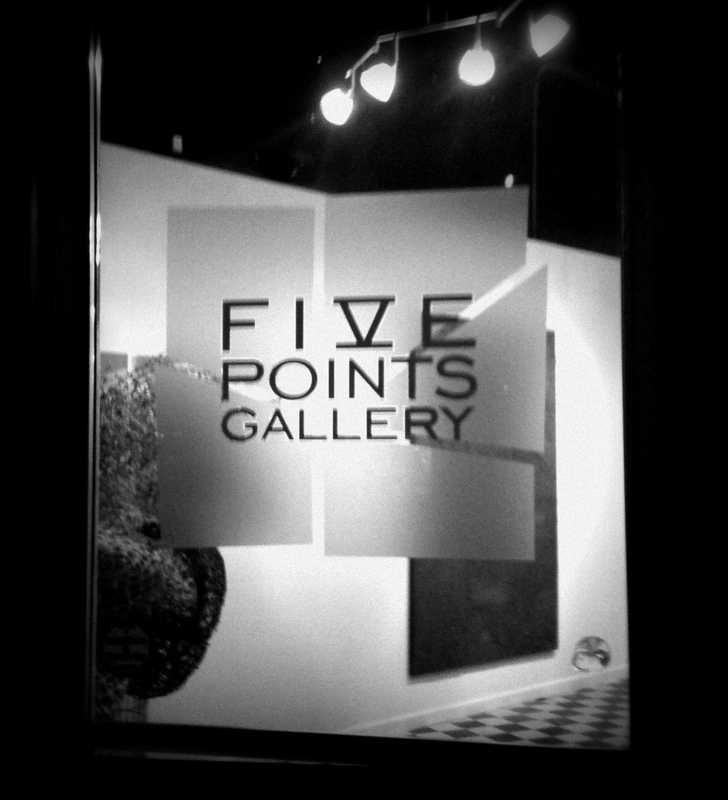 Even though I had visited the Five Points Gallery twice during their regular hours in January, I regretted not attending the Danielle Mailer’s opening and artist talk and I wanted to be there in February. I was not alone. With the work of 13 original artists on display, this treasure trove of artistic triumphs shone like a beacon into the night and called Torrington to attention! Flowing in and out of the entrance on Water Street, throngs of visitors ensured the five points was the center of activity on this Friday night! As my son and I walked in through the brightly lit glass doors we met up with Jacque Williams. Recently I was fortunate enough to interview Jacque on his own radio program, the “FEEL GOOD SHOW” on WAPJ. Once I attend one of his Monday night events at Bacchis I’ll be writing up a post about the Jacque Williams cultural phenomenon in Torrington. My son gave him a “high five” before he left. Within the walls of 33 Main Street, my son and I made our way slowly but with purpose about the gallery’s many rooms so I could see the artwork and enjoy them but enjoyed at a pace that my seven year old companion could tolerate. My original plan had been to attend the event solo but before I left the house my son wanted some more “Daddy time” and wanted to have a “night night” drive together. Once there I realized how lucky I was to share the experience with him. My pal enjoyed a piece of fruit here and there and we pointed out the tomatoes (watercolors). He didn’t touch the paintings and as he set a good example, I used a similar restraint myself. I saw the singer Songwriter Robert C Fullerton, Sharon Waagner from Torrington Downtown partners, Mark McEachern from the Historical Society and many more. And during our self guided tour we enjoyed each work of art as each one commanded attention. Of specific interest to me was Jessica Bartlet paintings which were colorful and bright and some Jeremiah Patterson watercolors. After our wonderful visit to the Five Points Gallery, my son and I walked across Main Street as there was an artist opening at Artwell on Main” . 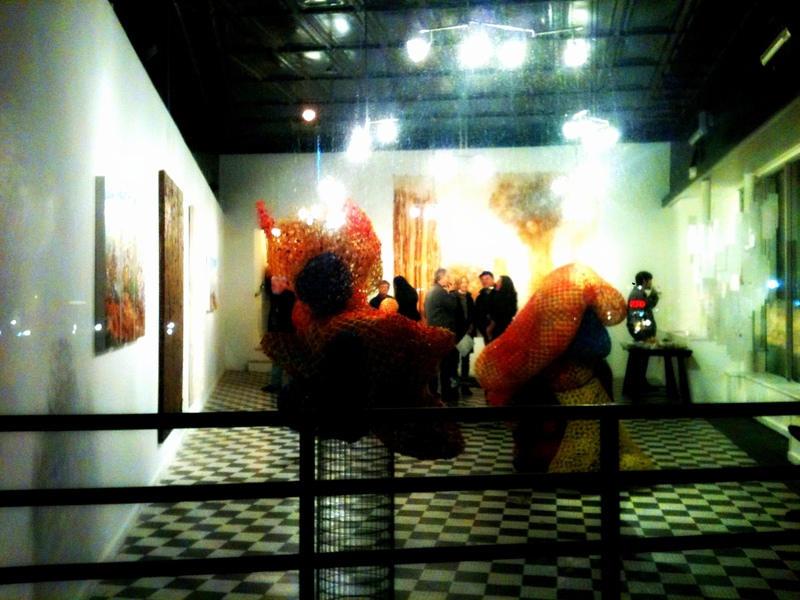 The show was called Side by Side 2 as there were two artists showcasing their work on either side of the gallery. 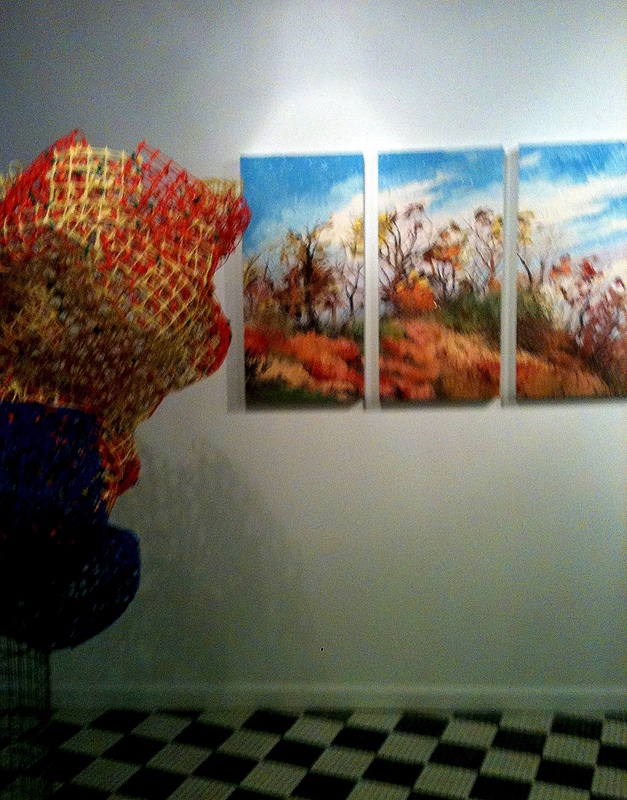 On the north side of Artwell was an exhibit called Synthesis. Created by Brett Henrickson and Hannah Kirkpatrick, the unique art form on display was two parts art and one part alchemy. 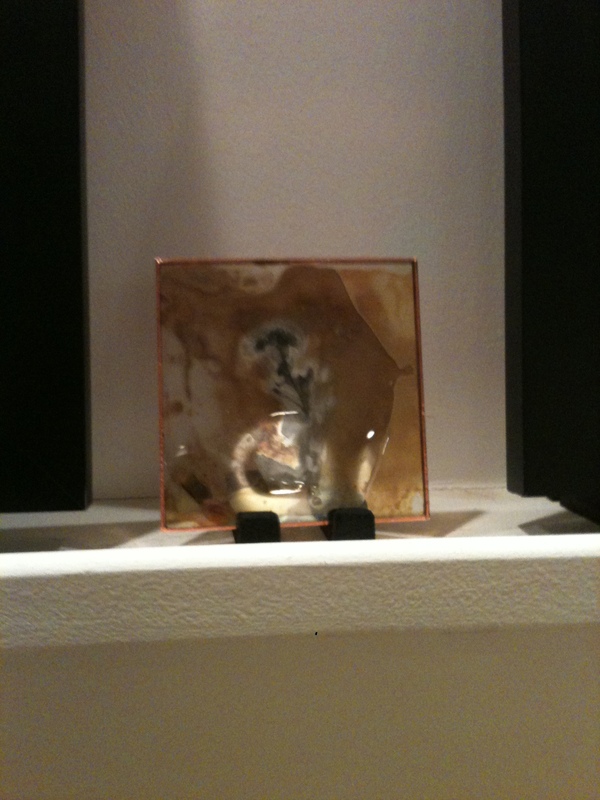 Organic material was fused between sheets of glass to create beautiful works of art. 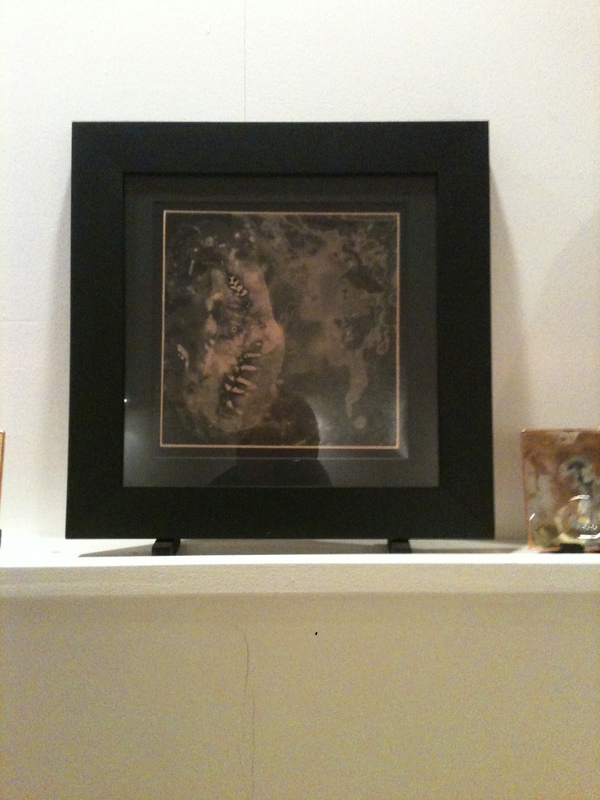 On the other side of the gallery, Nicole Darling’s artwork was on the south side of the gallery and it shared equal interest among the guests. When I arrived she was being interviewed by Jacque Williams so I didn’t take photos (I didn’t want to interrupt!) . 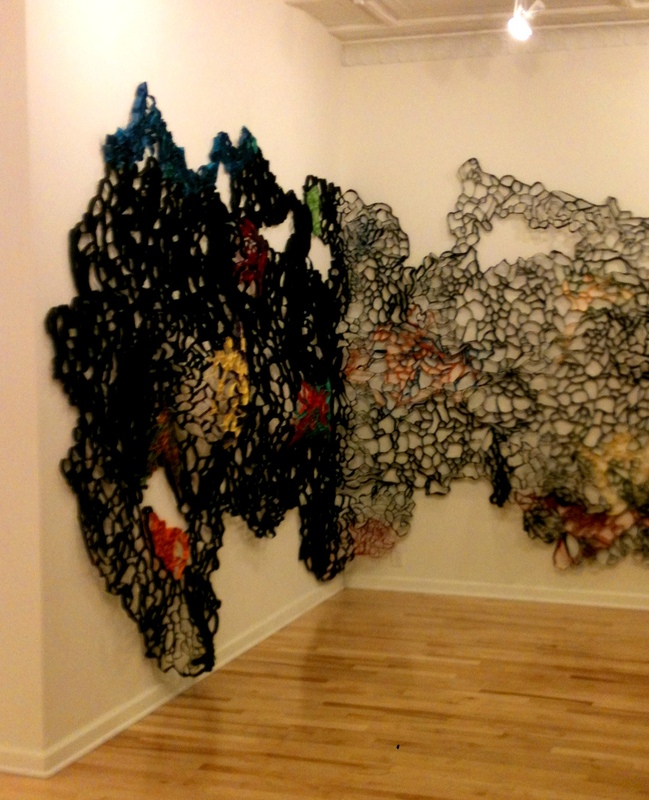 I highly recommend a visit to see Nicole Darling’s work and Henrickson and Kirkpatrick’s Synthesis! During our magical night together, my son and I made a stop to S & S Sweet Treats for an ice cream. He devoured his treat in a matter of minutes and then we sat together and shared mine. In less than 6 months since I wrote that I have become more involved, more engaged in the Torrington community and I am grateful and honored by the opportunities I have received to do more. I do see our community’s bright future getting brighter still and I am honored when I can play some part, even if the part is simply writing it all down and then telling you about it.